The mountain biking community has been waiting for it, and it finally has arrived. 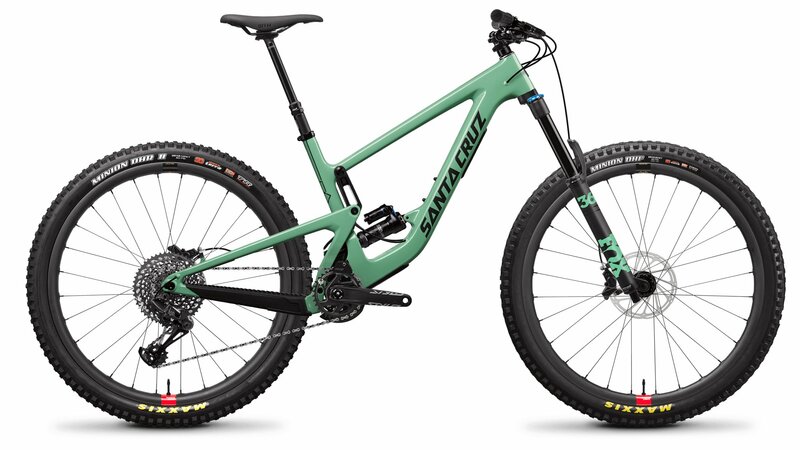 After Santa Cruz incorporated their downhill bike suspension design into their 27.5” Nomad and Bronson full suspension bikes, it was only time until the company brought the platform into the mold of a long travel 29er. Santa Cruz has once again created a bike that descends and plows like a downhill bike but can still pedal to the top of the mountain. The V-10 design provides feather-light small bump sensitivity, mid-stroke support, and overall progression you typically only experience on a longer-travel downhill bike. In other worlds, the bike smooths out the rockiest rocks and can easily take the big hits and drops. Even though the new Megatower looks like a mini-DH bike, it still climbs incredibly. The steep seat tube angle will keep you pedaling efficiently and room for a 170mm dropper will get that seat out of the way for those rowdy descents. The Megatower perfectly balance the benefits of a modern downhill bike with the efficiency of a short travel 29” trail bike. It’s a long and low shred sled that still loves to push up the climbs. The Megatower’s Fox Performance 36 fork and Rock Shox Super Deluxe rear shock provides a supple and smooth ride, the SRAM GX Eagle 12-speed drivetrain provides all the gears you need to make it up the steepest climbs, and SRAM Code R brakes provide incredible stopping power when descending those steep chutes. If you are looking for a bike that will let you get as rowdy as possible while still providing a lift to the top, the Megatower was designed for you. Take your riding to the next level. Ride with more confidence than ever before.